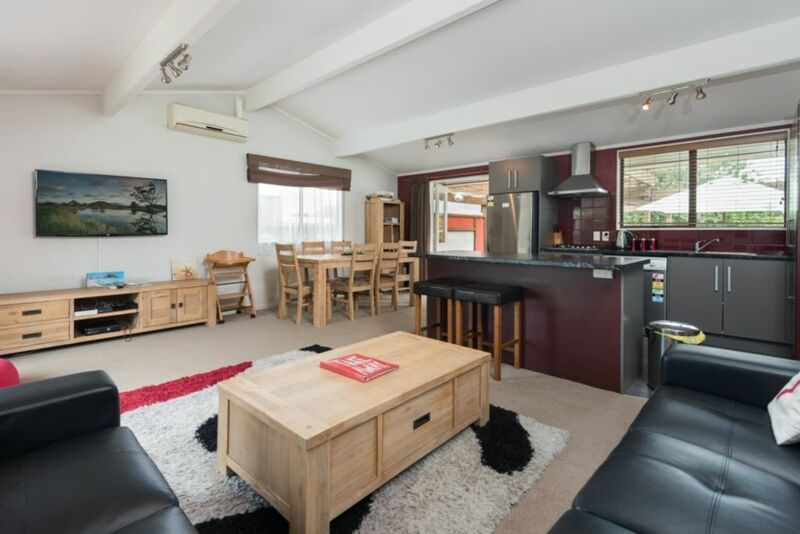 Our relaxing holiday home is just 3 minutes walk from the beautiful Papamoa Beach. Great outdoor area for BBQs / relaxing. Just round the corner from the plaza with shops / restaurants / supermarkets. Plus a park for the kids just down the road! Enjoy relaxing outside on the extensive covered decks, or on the extensive lawns. This property has everything you need for a relaxing holiday, we provide all of the linens / towels that you need so you can just enjoy your stay. NO PARTY POLICY - As per our advertisement this property has a strict no party policy as it is in a quiet residential area. Failure to observe this will result in cancellation of your booking and you will be asked to immediately vacate the premises. Minutes away from the park, shops and cafes/restaurants. Great property and location would definitely stay again has everything you need. Nice and warm bach with everything you need. This was a great little holiday house, just a few minutes walk from the beach & had everything we needed for our short break. Fantastic location, good size house, and it felt very private and a safe place to stay. Just a couple of minor hiccups which were addressed on contacting Chris and also James.